From 1000k steps to 15000 steps daily is no mean task for someone who has had a very inactive lifestyle both at home and at work. He was overweight and realised it’s becoming a cause for concern. He, therefore, took efforts to implement a lifestyle change. And, soon realised how much of a significant difference it has had on his life. 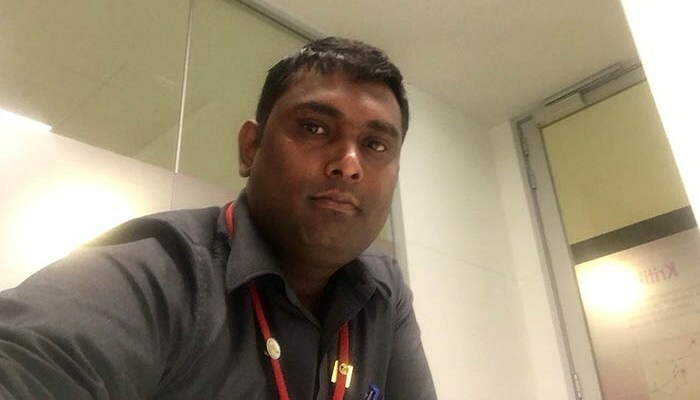 His outlook towards life has changed for the better and he has started looking at Life more positively.Let’s here Anand’s story in his own words. I have a typical corporate job and as with all corporate guys, my life was pretty inactive. All I would do is sit on the chair through the day when in office and not travelling. I was quite aware of my problem and therefore was looking for something to get an active lifestyle. I was looking for something that came with an expert advice. I went through the reviews of various fitness trackers that were available in the market such as the likes of Fitbit. Then I came across GOQii and what I really like about the GOQii device is that there is someone with whom we can chat or share our concerns to figure if we are on the right track or not. Earlier, whenever I approached a fitness expert all I got was a list of things to do and then you are on your own. I had no clue whether I was doing the exercises right, whether I was eating right etc. As compared to this, I found GOQii to be significantly different from other fitness trackers. At GOQii, you have a coach who will help decipher the date that is clocked on the device and explain what it means. The coach helps you to change few habits to bring about a lifestyle change, the food habits get regularised etc., and all these make a difference. 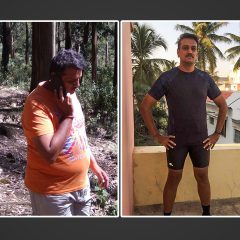 Initially, when I came on board GOQii in October 2015, my goal was to lose weight (I was around 109kgs) and get slimmer and fitter but, in the last 3-4 months, I would say my entire lifestyle has changed from what it used. I was looking at reducing slowly but, ended up reducing a lot more than what I had targeted. I actually have reduced around 9 and a half kilos. I am at around 99 KGs currently. I am also super active now. From barely being able to walk 1000 steps a day that too with great difficulty, currently, I hit about 12,000 to 15,000 steps a day. And most of that is clocked through the first few hours of my run or walk in the morning. What I have learnt from my experience is that just being physically active is not enough, it has to be balanced with good food intake. I am more conscious of what I eat. I am consuming fruits as well and there is also more focus on proteins. I have started consuming a lot more vegetables and lots more chapattis and fruits during the week. All those small changes that I have made has had a positive impact on me. And, at the same time, I didn’t give up on anything that I was enjoying. Once in a while, I am allowed to indulge and I can confess to my coach that I did not follow her rule. She motivates me quite a bit. She gives me lots of chances to get back on track which has really helped me. 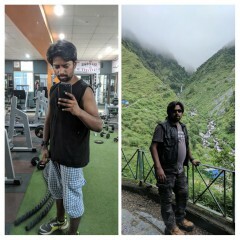 More than the weight loss, it’s about how active I have got. The food that I eat keeps me energetic through the day unlike earlier when I used to feel sluggish and was unproductive at work. Now it’s no more like that. My outlook towards life has changed because of my lifestyle change. I have realised, you can run 15 km and also lose 15 kilos of weight but, all of this does not matter if you don’t follow a good lifestyle. Now, I also take enough rest, sleep well and I am able to do a lot more work. And on weekends, I used to kind of slow down but now not so much. I compensate with more running and more activities on a weekend which kind of helped me bring in the balance. It is kind of mix of a lot of things. 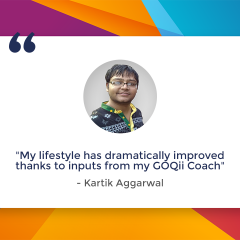 If I have to rate GOQii, I would rate the coaching piece 10 out of 10 because the coach actually helps you change your lifestyle which is one of the toughest things to do. We talk about lifestyle change but, it’s only when you implement it do you realise how much of a significant difference it has had on your life. For me, my outlook towards life has changed for the better and I have started looking at life more positively. I am also more energetic through the day and that has helped me in my relationships both at home and at work. My coach Priya has really helped me a lot. She has been a good listener and has been able to understand my routine, my schedule when I travel and has accordingly helped me to adapt change. I believe that ‘One size fits all does not work’. People around me have been surprised with the changes they see in me. They find me lighter and positive. Personally, too positive outlook towards life is really helping me in terms of being more productive at work and overall it has made me happy in life. What does Coach Priya Goel have to say about her player Anand Krishnamurthy? Anand was excited and determined when he joined Goqii. His main goal was to shed his extra kilos and become fit and active. He wants to run in marathons but, did not know how to go about his diet and activity pattern. Because of his hectic work schedule and foreign trips he was not able to continue with his workout regime. So we have decided some health goals that will be convenient for him to achieve. Water intake should be more than 3 litres. Include more protein in the diet. Anand followed every goal very precisely and diligently and the result was there for everyone to see. Today, he runs 5 km in 30 minutes and has progressed to running 10 km in one hour. 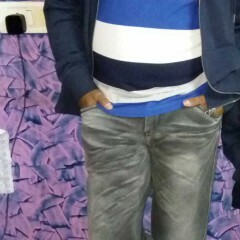 He has lost 9.5 kg weight and inches too. It was his sheer determination that helped him reach his goals.